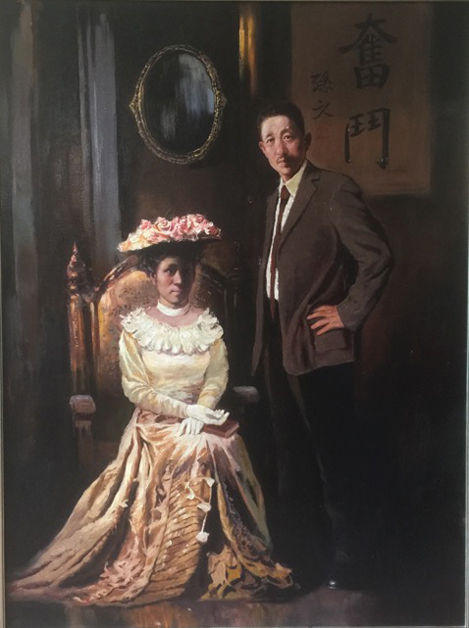 He Xiangning (1878.06.27-1972.09.01), a famous stateswoman, painter and calligrapher in modern China, was the former chairwoman of the Central Committee of the Revolutionary Committee of the Chinese Kuomintang and the chairwoman of the Chinese Artists Association. She made outstanding contributions to the establishment of New China and the development of fine arts. This year marks the 140th anniversary of He Xiangning's birth. The exhibition shows the original works of revolutionary predecessors He Xiangning and Dr. Sun Yat-sen, collected by the Central Committee of the Revolutionary Committee of the Chinese Kuomintang and other units, as well as elaborate works created for the exhibition and collected from the society. They showcased the magnificent life and exquisite artistic attainments of the revolutionary predecessors from the same historical period of He Xiangning. The exhibition is a concrete embodiment of the implementation of the 19th CPC National Congress spirit and Xi Jinping's literary and artistic thoughts by the Central Committee of the Revolutionary Committee of the Chinese Kuomintang and, taking the occasion of marking the 140th anniversary of He Xiangning's birth, vigorously carries forward the spirit of patriotism and the inheritance of Chinese excellent traditional culture.